Gall Bladder Inflammation, symptoms and causes. Gall bladder inflammation, or "Cholecystitis", is a serious disorder that you many fall victim to. The gall bladder is an organ in the body that resides near the area of the liver. This organ aids in the digestion of food. It accomplishes this task by allowing the bile from the liver to come through it and then dump into the small intestines. The reason that the gall bladder does this is to neutralize the acids that get dumped into the small intestines. Bile is alkaline and the acid from the stomach needs to be neutralized or the small intestines will be eaten away by all the acid that gets dumped into it. This is a natural occurrence. When a problem occurs in the gall bladder, the bile that is used in digestion can actually accumulate in this organ and cause many different complications. Throughout this page, you will learn of the possible causes of this condition, and we will also touch on some of the symptoms that may be experienced when the gall bladder is inflamed. 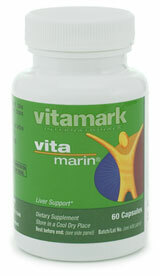 Vita Marin is a product for both the liver and gallbladder. Toxins will not be able to bind to the liver cells. This will help the liver to be able to flush out more toxins for the body. Vita Marin helps to get the bile to flow which is very important before going on a liver and gallbladder cleanse. Please do not go on any cleanse like this until you get the bile flowing because you are asking your liver and gallbladder to do something that it cannot do do. You may even cause a gallbladder attack. So please do the Vita Marin for 4 to 6 weeks first. When an individual experiences gall bladder inflammation, there may be a few reasons for this. These are some of the things I learned in my Bio-Terrain Auditing Class. Check your diet. Are you eating fatty foods. After years of eating this way the gall bladder and liver become over worked and the bile becomes sticky, and stops flowing. Are you a woman. If so, are you on the pill for birth control. The pill closes off the ducts from the ovaries to the uterus so conception can't take place. What does this have to do with the gall bladder? Well think about it, our body has other ducts in it that may stop flow from happening. You guessed it, the gall bladder ducts may also be affected. There are also many different types of injuries and illnesses that can lead to the inflammation in the gall bladder. For example, individuals who receive blunt trauma to the area – like falling on something or getting hurt in a vehicle accident – can experience this condition. Those that suffer from medical conditions, like severe bacterial infections. Viral infections, may also be a problem with those that experience Cholecystitis. There are many uncomfortable symptoms associated with gall bladder inflammation. Many with an inflamed gall bladder may suffer from a low to high fever. It is not known whether this is a direct result of the swelling, or if it is due to an infection that may be causing the swelling. This is one of the first symptoms that one may notice. A swollen gall bladder may cause pain in the abdominal area. Most of the pain radiates in the right side. The pain may be mild to moderate, it may be dull or sharp, and it may come in the form of basic tenderness. Many times, there are some complications when it comes to breathing. However, this is basically because of the pain and tenderness that is experienced in the abdominal area. The person is usually able to breathe as they should, but it is difficult to do so because pain is experienced when it happens. Many individuals may experience nausea. The nausea may be experienced by bursts of sweating, and feeling as if vomiting may occur. For many, vomiting does become present and is severe. Feeling as if all the energy has been drained is also a symptom that occurs when it comes to gall bladder inflammation. This is mostly due to the fact that the body is using every resource possible in order to properly repair the area. There are many different measures used to treat gall bladder inflammation. Usually, the treatment is dependent upon the severity of the symptoms. Many may be given a diet which consists of only fluids. You and your Doctor may decide to remove the gall bladder. You may wish to do a gall bladder cleanse. At this point I will tell you about my own experience in this area. I had the nausea feeling for months. Just thought it was stress. In September decided to go on a cleanse. But first I took plant enzymes to get some of the feeling in my stomach to settle down. I went on this cleanse and lost sixty stones. Yes I did say sixty. I counted every one of them. I also lost other small to tiny stones which I did not count. I could guess at one hundred or so. The large ones were the size of quarters. These ones were oval in shape. It's been about a month now and I still continue to lose these green soft looking stones. We are going on this cleanse again next week. The end of October 2009. I find this cleanse the most effective I've ever been on and the easiest to do. I've been on some that you have to drink a half cup of oil three or more times a day. Not for me thanks. I went on my liver cleanse again, got rid of 75 more stones. Some were very large, I'm feeling much better as I do each cleanse. I did another cleanse. Watch this short video and see the outcome. I put some important instructions in the video. If you would like to have a copy of the cleanse that Roger and I went on, please fill out the form below and get your free copy. NEW! I have also added to this cleanse 1 ounce of pure LEMON after I take the olive oil. This helps to cut the taste of the oil, right away.